Bay windows are a set of three (or more) windows that are connected along the vertical edges and jut out from the wall of a house. This close cousin of bow windows sit at angles to one another, the center window is wider than the windows on either side and the three windows are each separated by mullions. They can be a welcome addition to any style of home, allowing natural light and the beauty of outdoors to penetrate into interior spaces. They can be a dramatic focal point in any room and can enhance the exterior look of a home, as well as its value. When you install bay windows in your home, the amount of natural light that enters a home is dramatically increased. This is due to the multiple panes of glass set in varying directions that are a hallmark of bay window design. Natural light adds beauty to a room, making it feel brighter and cozier. Bay windows not only make a space feel bigger, they can actually add additional usable space to a room. The window panes are angled outward, allowing for more open space within. Some replacement bay windows also have counter or shelf space below or can even house a window seat – the perfect location to sit and enjoy the view. Since there is so much glass in bay windows, they can heat up a room with the radiant heat that penetrates through from the sun. While this may be a benefit if you live in a cool or cold climate, you need to consider this point if you live in a warm climate. On the flip side, if you do not choose bay windows with energy efficient features, a great deal of heat loss can occur through the windows. Due to the large expanses of glass that bay windows offer, it is important to select the proper energy efficient options to fit the climate in which you live, as well as the location of the windows. This includes options such as low-e coatings, multiple panes, gas fills and more. The dramatic effects of replacement bay windows are not simply reserved for the interior of a home. Replacement bay windows come in a variety of styles and design options that can add to the character and style of any type of home. They also create a great sense of balance and scale and add interesting lines to an otherwise flat exterior surface. Bay windows looks like an elegant addition to a home and can enhance a home’s value by increasing its aesthetic appeal. If energy efficient windows are chosen, this is an added bonus due to the increase in the home’s comfort and decrease in energy bills that the window affords the homeowner. Bay windows take up a lot of space, so choosing an energy efficient replacement bay window should be a top priority. Bay window prices are at the top of the pricing spectrum. A wide variety of options are available. For example, the center window (which is stationary) can be flanked by casement windows, double hung windows, awning windows or other stationary windows. The window can be angled (the most common type, known as an angled bay window) or square with sides that come out at a 90 degree angle (known as box bay windows). 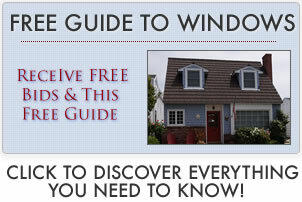 As long as you have the space, you can install bay windows just as you install any other window. They work best, however, in rooms that are of a decent size and in which you want to add to the sense of space – that is why they are most often found in living rooms, family rooms and master bedrooms. Since bay windows creates a focal point on the exterior of the house, they should be placed in a location which enhances the exterior appearance rather than detracting from it. Bay windows are most often installed on the ground level of a home, although that is not an absolute rule. 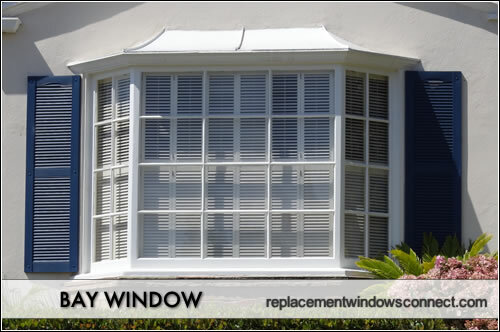 If you are looking at replacement windows installation, it is best to find a size and style that will fit well within the existing opening left by the old window (whether it was originally a bay window or not) so that a great deal of construction is not required in order to install the window properly. It is important to consider quality when selecting bay windows. Some of the more reputable window companies offering bay windows include Andersen, <a href="http://www.replacementwindowsconnect.com/manufacturers/andersen/"Pella, <a href="http://www.replacementwindowsconnect.com/manufacturers/marvin/"Marvin, and <a href="http://www.replacementwindowsconnect.com/manufacturers/milgard/"Milgard. Check the construction of the windows, energy efficient features, options offered, replacement warranty and the repair services offered by the companies. Price will of course be a determining factor in your selection but shouldn’t be the only one.